↑ "Art Carney, Lauded for 'Honeymooners', Dies". New York Times. November 12, 2003. ↑ "Art Carney Biography (1918-)". filmreference.com. สืบค้นเมื่อ 22 December 2016. 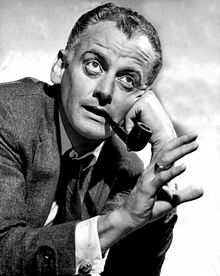 ↑ "Art Carney". May 22, 2011. ↑ "Art Carney Wins in a Film—and Over Alcoholism – Vol. 2 No. 17". people.com. 21 October 1974. สืบค้นเมื่อ 22 December 2016. หน้านี้แก้ไขล่าสุดเมื่อวันที่ 2 กันยายน 2561 เวลา 12:31 น.